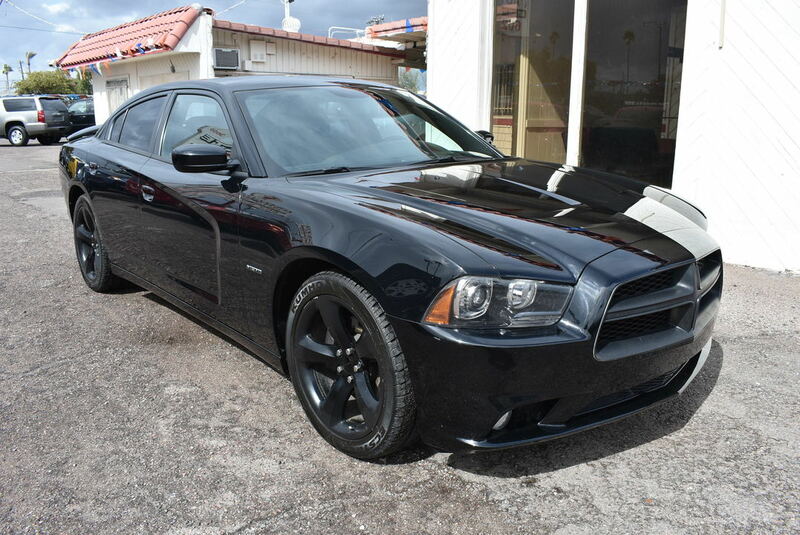 Meet our stellar 2014 Dodge Charger R/T RWD featured in [[[TrimColor|Pitch Black]]]. Under the hood of our R/T is a 5.7 Liter Hemi V8 with a 5 Speed Automatic transmission that produces 370hp on demand which offers quick acceleration, seamless shifts, and still delivers an incredible 25mpg! Our Rear Wheel Drive muscle car, with its independent front and five-link rear suspension, will glue you to the road even in the most aggressive maneuvers. The brawny fenders and cross-hair grille comprise a design that demands respect. Inside our sleek cabin you will experience luxury with French-seamed accent stitching, heated front and rear seats, the six-way power driver's seat and ambient lighting. Rev-Up with our top of the line audio with 10 speakers, SiriusXM Radio, Bluetooth and voice command all at your fingertips from an 8.4 inch touchscreen. Super fun to drive! Surprising fuel economy! Brand new tires!